When we moved into our home, there were a TON of updates I wanted to do. A few projects in, I realized my to-do list needed to become more of a wish-list. Let’s face it, renovations are costly and time consuming. But, that has not stopped me from making small updates that make a big difference [without inflicting much damage on the budget or monopolizing entire weekends]. 1. Painting our millwork instantly made our entry feel lighter and brighter. 2. Painting our mantel instantly modernized an otherwise dated fireplace. 3. 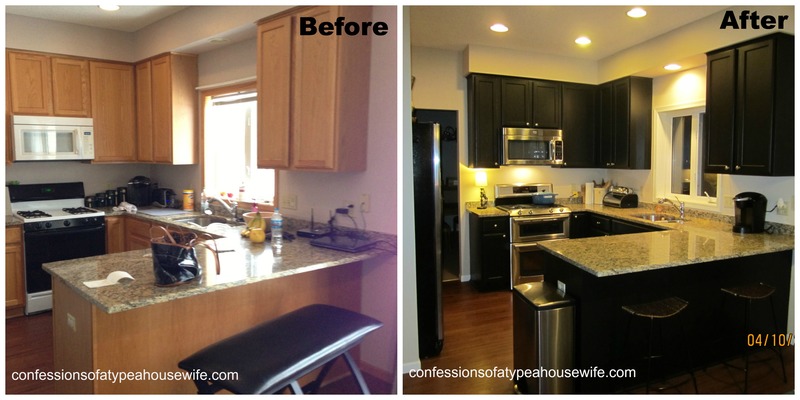 Painting our cabinets black completely changed the look and feel of our kitchen. 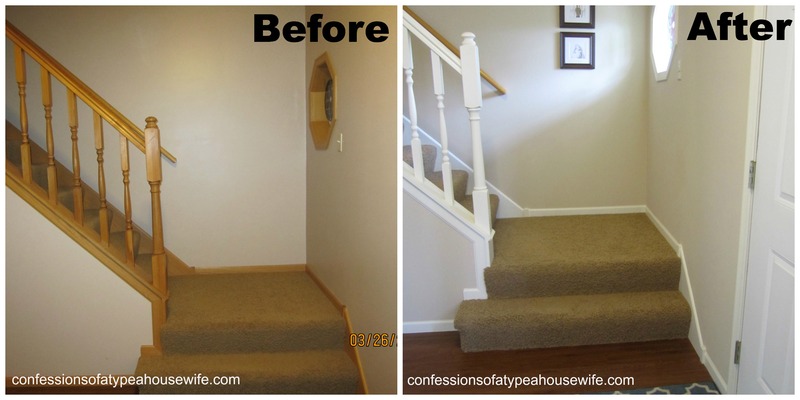 Those are just examples of what paint can do, and proof that you don’t have to make drastic changes or spend a ton of money in order to update your space. Small changes can really add up :). This entry was posted in Home and tagged black cabinets, white trim. Bookmark the permalink.